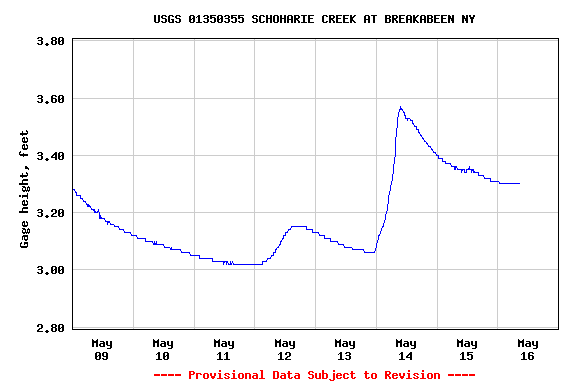 Saturday Skip and I paddled Schoharie Creek from Fultonham rest area to Central Bridge; a distance of about 18 miles. We were joined by an old friend Albert Hodder, who was my primary camping buddy during my high school and college years, paddling his kayak. 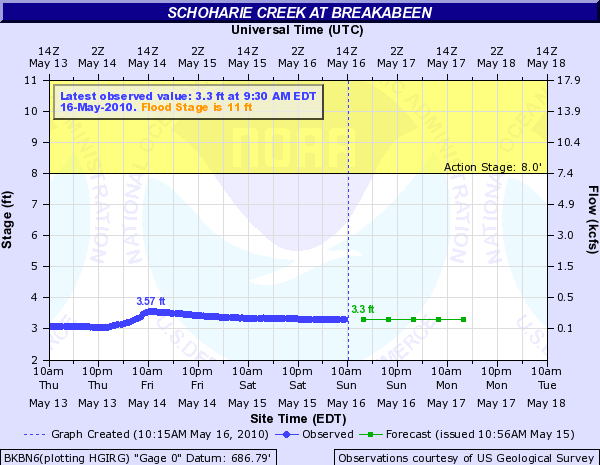 The Breakabeen River Gauge was at 3.4 feet – which is normal summer time levels. One wouldn’t want it much lower. There was a small thunderstorm on Thursday night that gave a little bump to the water levels. 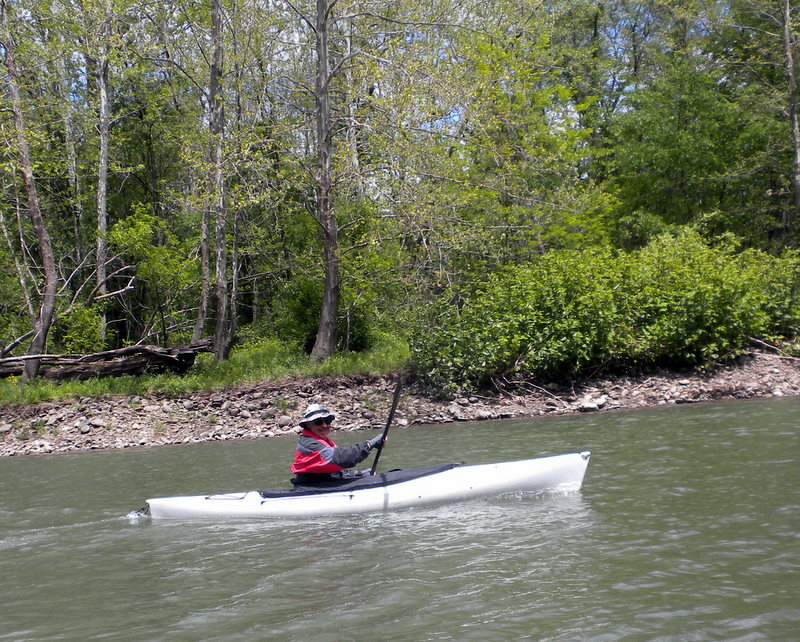 The extra 3-4″ of water helped us get over some riffles that would have grounded us otherwise. Our greatest concern was the wind which was gusting from the west in the 15-25 mph range. 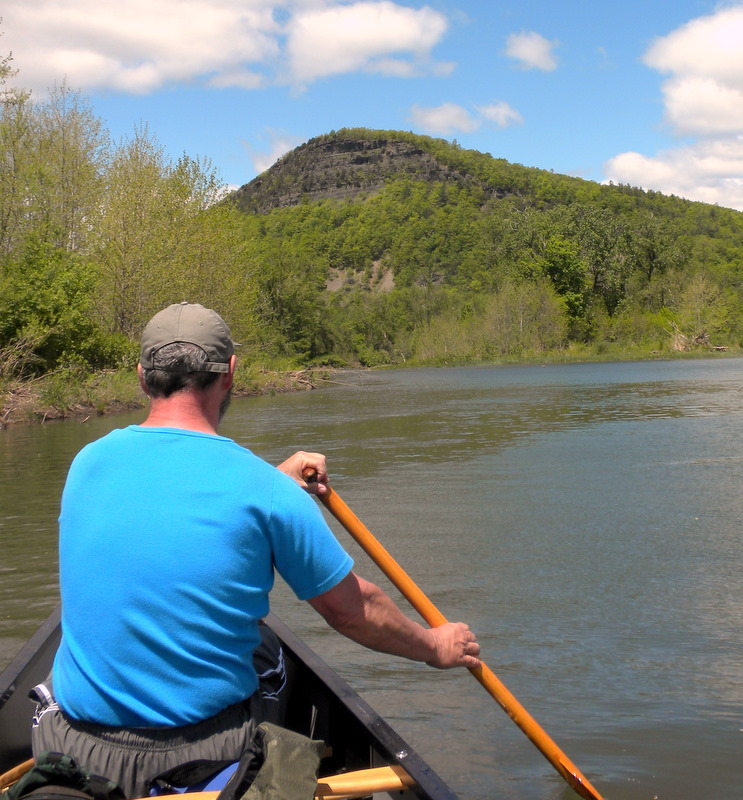 While the Schoharie River is protected in the upper stretches, in the lower sections it opens up and we knew we would be battling winds as we finished up our trip coming into Central Bridge. Temperatures were in the high 50s-low 60s, just enough to warrant a 2nd layer. The upper stretch was interesting, with lots of turns, little riffles, and lines to pick. We launched at 11:30am. We had several nice views of Vroman’s Nose. We saw Osprey and several ducks. We saw lots and lots of kingfishers though out our trip. We stopped for a creek side sandwich in Middleburg. We took a 2nd break in below Bridge Street in Schoharie and got to the Route 7 bridge fishing access in Central Bridge at 4:30pm. We really lucked out with the weather, until the last stretch into the take out. We avoided the wind until the last 30 minutes when we really had to slug it out against the wind.